Many Neanderthals found their home in Mezmaiskaya Cave, and lived there for tens of thousands of years. The cave is located close to Russia’s border with Georgia. Scientists found the remains of Neanderthals that were preserved extremely well. Thanks to new sequenced genomes, scientists succeeded in getting genetic information from two different Neanderthals living 20,000 years apart. Scientists also gathered a lot of information from two caves in Belgium, one in France, one in Croatia, as well as the one from Mezmaiskaya. As scientists are acquiring more sequenced genomes that belonged to Neanderthals, they are getting more details about the dangers ancient humans experienced. The new data originates from between 39,000 and 47,000 years ago. The new genomes help scientists determine how individual population groups of Neanderthals moved through Europe, and when and if they were interbreeding with humans. Mateja Hajdinjak at the Max Planck Institute for Evolutionary Anthropology and her team conducted the study published in the journal Nature in which they extracted tiny amounts of bone and tooth powder. With the help of chemical processes, they removed genetic contamination, while also looking for signs of degradation in ancient DNA. After they extracted the new sequenced genomes, they compared it to the previously published data that was collected from a range of Neanderthals and a Denisovan. After taking a look at the data from Mezmaiskaya 1 and Mezmaiskaya 2, which originally were thought to be closely related to each other and also distantly related to others in caves where the Western European Neanderthals resided, they found that the data from Mezmaiskaya 2 seemed more related to the Western European caves group, unlike the Mezmaiskaya 1 cave that is not as related to the western cave group. The authors of the study wrote that “extreme cold periods in northern Europe may have triggered the local extinction of Neanderthal populations.” After those Neanderthal individuals went extinct, the area may have been populated by Neanderthals that arrived from other locations. 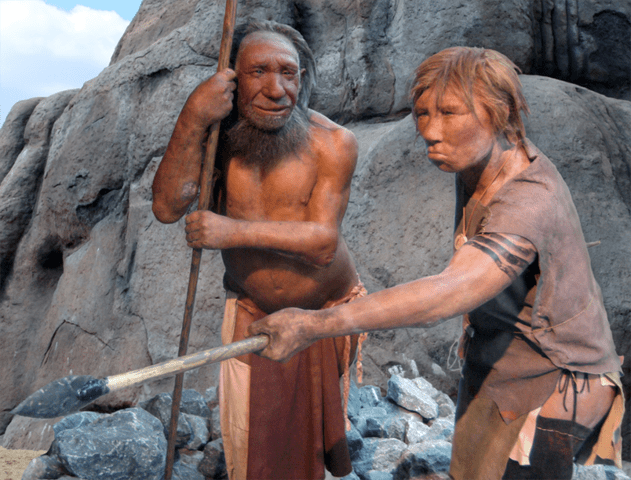 The study also suggests that Neanderthals were interbreeding with other early human species, although when humans moved to Europe there were “no indications of recent gene flow from early modern humans to late Neanderthals,” the authors wrote in the study. According to the data, the Neanderthal gene flows into the human genes before the time the five individuals found in different caves were alive, at between 70,000 and 150,000 years ago.